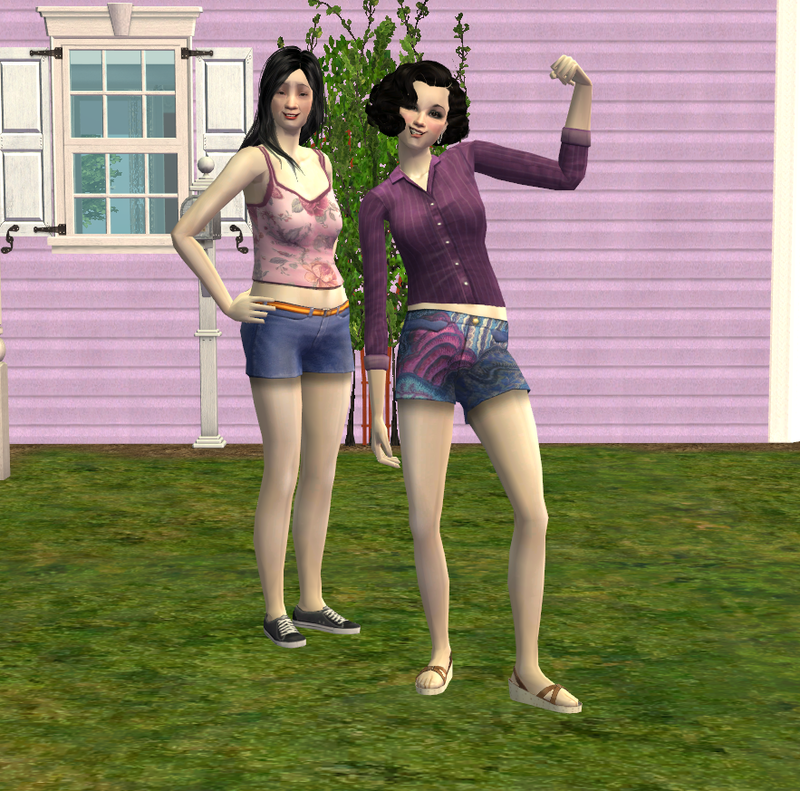 Mod The Sims - New Shorts, for Adults and Elders Female! New Shorts, for Adults and Elders Female! by Rosebine Posted 18th Mar 2019 at 12:51 AM - Updated 18th Mar 2019 at 1:34 AM by Rosebine : Details. Hi all, these were made especially for AndrewGloria who wanted short shorts for his Adult female sims...and thought that his Elder female would still like them. Well, this is what I have done. Following my own advise, I stole all the shorts textures from the Teen female colorful bottom shorts. For the Adult mesh, I edited the already existing ripped jean shorts. 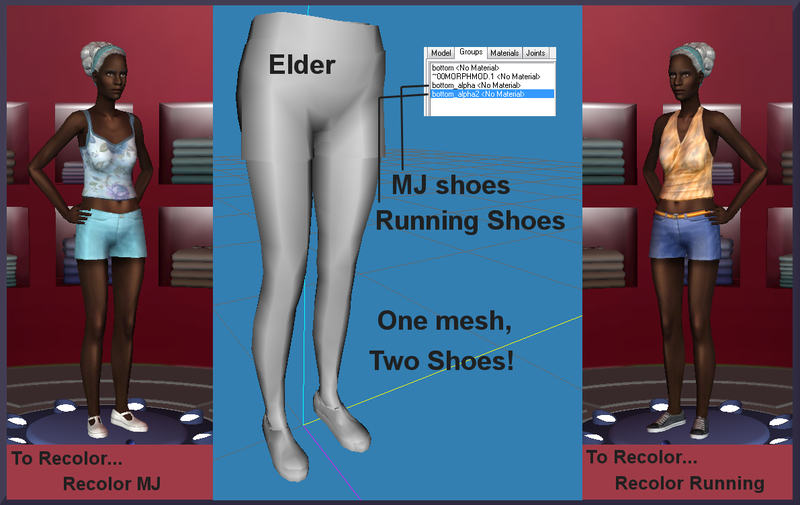 I made a Barefoot version, and a version with shoes for both Adults and Elders. AndrewGloria choose which shoes to use for both ages. One mesh, 2 different shoe styles! Depending on which recolor you chose, you'll get one style or the other. Fat morph included, no Preg morph. The Shoe ones have the normal shoe sound. Too many recolors to show them all! SimPE, PaintShop Pro, MilkShape 3D, MTS, The game! And AndrewGloria for the great idea.